The paper presents the analysis on possibilities and problems when performing physical ways of separating fine loose materials. Continuous growth of mineral raw material consumption together with concentration reduction of necessary chemical elements in ores, as well as increase in quantity and the nomenclature of production wastes and consumption, demands more widespread introduction and improvement of physical ways for separating fine loose materials. In a freefall mode of loose material weight in the gravitational field the separation method is not used when performing different ways of magnetic, electrodynamic and electric separation (except for triboelectrostatic separation). Special attention is paid to the importance of applying a freefall mode of loose material weight in the gravitational field, as well as using pulse modes in electrodynamic separation in order to enhance separation efficiency. Keywords: magnetic, electrodynamic, electric and X-ray radiometric separation, fine loose materials, mineral raw materials, production wastes and consumption. Karmazin V.V., Karmazin V.I. 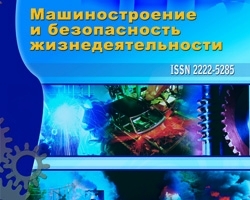 Magnitnye i jelektricheskie metody obogashhenija poleznyh iskopaemyh: Uchebnik dlja vuzov [Magnetic and electric methods of mineral processing: The textbook for higher education institutions]. – Moscow, MGGU, 2005. Solovjev L.P., Pronin V.A.Izvlechenie ferromagnitnyh materialov iz zoloshlakovyh othodov [Extraction of ferromagnetic materials of ash and slag waste] // Jekologija i promyshlennost’ Rossii[Ecology and Industry of Russia], 2009, № 6. Solovjev L.P., Bulkin V.V.Jelektromagnitnyj separator s pul’sirujushhim tokomElectromagnetic separator with pulsed current] // Jekologija i promyshlennost’ Rossii[Ecology and Industry of Russia], 2011, №7. Dyakin V.I., Kozhevnikov V.Y., Kozirev A.V., Sochugov N.S. Impul’snaja jelektrodinamicheskaja separacija malyh provodjashhih chastic [Pulse electrodynamic separation of small conductive particles] // Pis’ma v ZhTF [Technical Physics Journal Letters], 2008, vol. 34, issue 3.